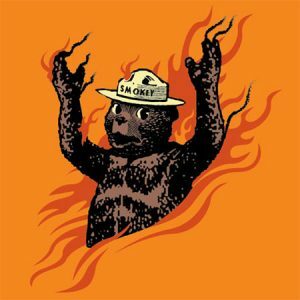 Colorado Peak Politics | FUELING THE FLAMES: Half of Coloradans at Risk of Wildfire, Now What? FUELING THE FLAMES: Half of Coloradans at Risk of Wildfire, Now What? Nearly three million Coloradans — that’s almost half of the state’s population— were warned this week they live in areas at risk of wildfire. How did this happen? Mostly because climate change people keep moving into fire prone areas, which are fire prone because there are forests full of trees nearby. Allow us to translate — no one is cutting down dead and dying trees to get rid of the fuel. Meanwhile, we also learned this week that Colorado has spent $40 million so far this year fighting forest fires. The question remains, what will Colorado do about it? The prudent thing to do is forest maintenance, get rid of the fuel before it ignites. Or, we could all just sit around and whine about global warming and climate change and wait for the next big fire to clear out all of the fuel and take private property, possibly even lives, along with it. Which do you think the incoming Polis administration will do? « ROCKY MOUNTAIN SHOWDOWN: Will Bennet or Hickenlooper Finish 10th in Iowa? Time to start raking. RAGA.